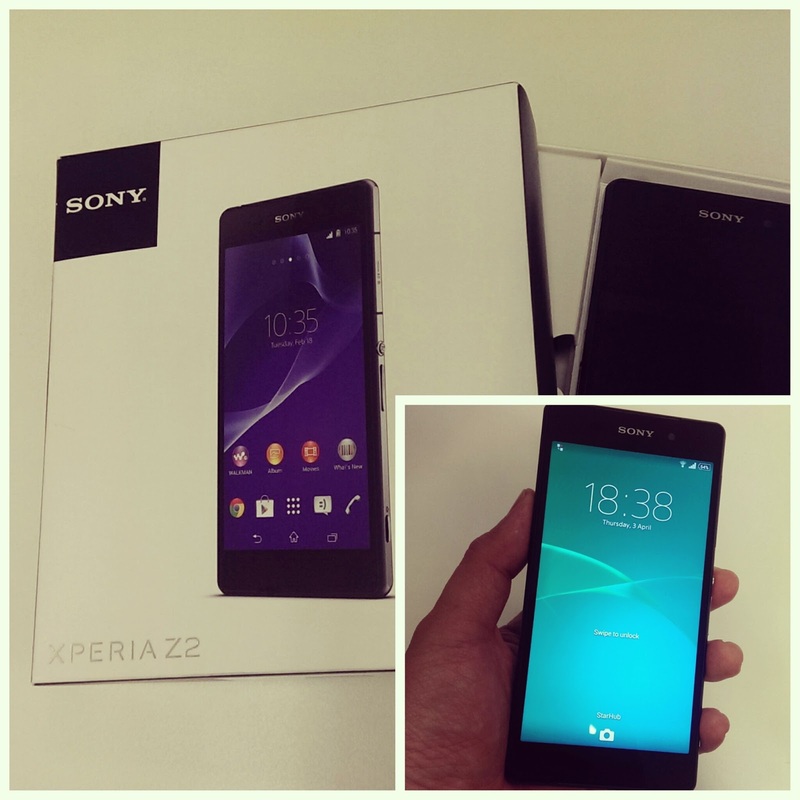 The Sony Xperia Z2 is one of the many hotly anticipated smartphones in 2014. It remains as the only smartphone that is safely waterproof, a large high-pixel camera sensor, and now enhanced with a more impressive display and battery life. Using the Xperia Z2 to shoot at extreme low light situations, I find that Sony did extremely well in removing image noise, both front and rear cameras. It's the same magic that they did on their mirrorless NEX and the RX compact series. The bright F2.0 aperture helps in letting in more light at faster shutter, and the larger 1/2.3" compact camera-sized sensor contributes to reducing low-light noise. While the images appear smudged when zoomed in, you can't expect DSLR quality from a smartphone. I am certainly impressed that the Xperia Z2 camera holds that well in low light scenes. 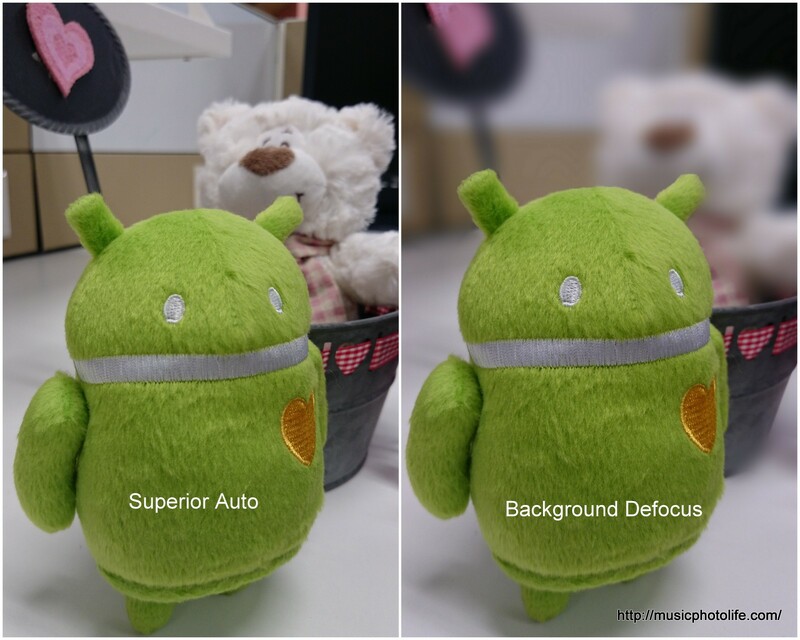 Interestingly, the camera is always default to Superior Auto shooting mode, and in this mode, the camera resolution is fixed at 8MP. To shoot at full 20MP, you need to select Manual mode. Don't be misled by the name, for the "manual" mode simply means you can manually adjust some shoot settings like white balance, EV, setting resolution. There is no option to manually adjust aperture or shutter. The Xperia Z2 speakers now face front so that you can enjoy clearer directional audio. Turning on the audio enhancements will increase the treble clarity. The speakers are so thin, you won't notice the grilles. 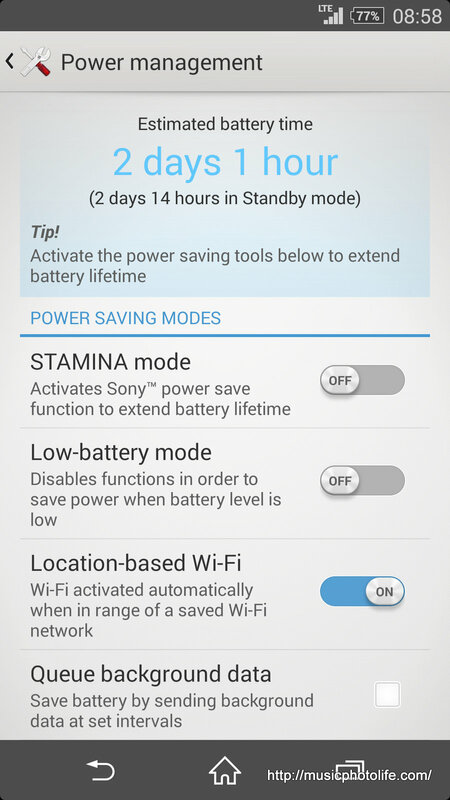 This again aligns with the Sony Xperia's clean design philosophy. 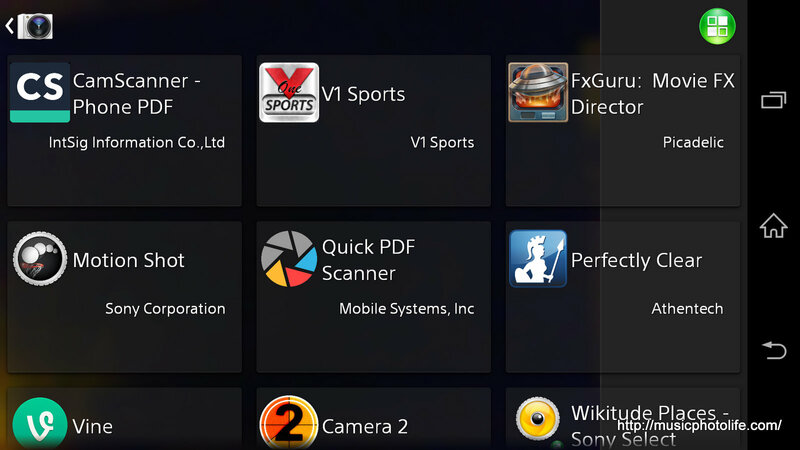 Like earlier Xperia Z models, small apps are floating window apps activated under the "recent apps" page. This is useful if you want to do a quick check on things, like calculator, calendar, even Gmail. You can download additional apps from the Play Store. Don't you wish you could reduce the number of icons in the system bar? Now you can! 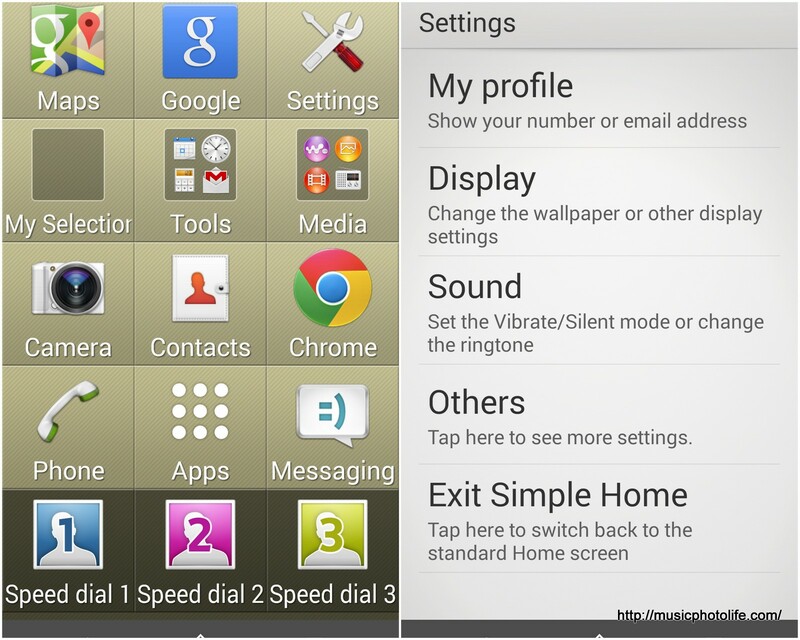 Xperia Z2 lets you do that to remove icon clutter. Finally you can choose to remove the persistent alarm or bluetooth icons. The Xperia Z2 screen seems to be less sensitive to touch compared to competitive models. I find myself missing key taps when I type fast, and often I had to repeat my pull-down action for the notification panel. Watch out for my upcoming first-look reviews on HTC One M8 and Samsung Galaxy S5 over the next few days. You may follow me at Twitter and Instagram@musicdiary for more photos and updates. how was the one handed operation? too big or just nice? @RogerBlack like all smartphones above 5-inch, it would be a stretch to use with one hand.